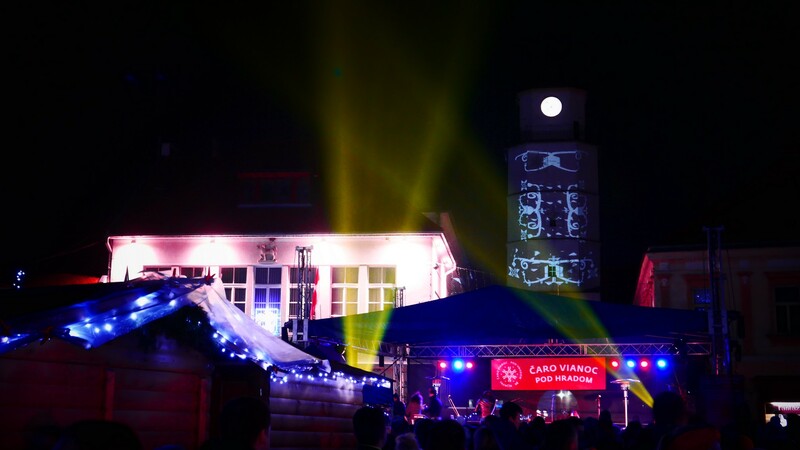 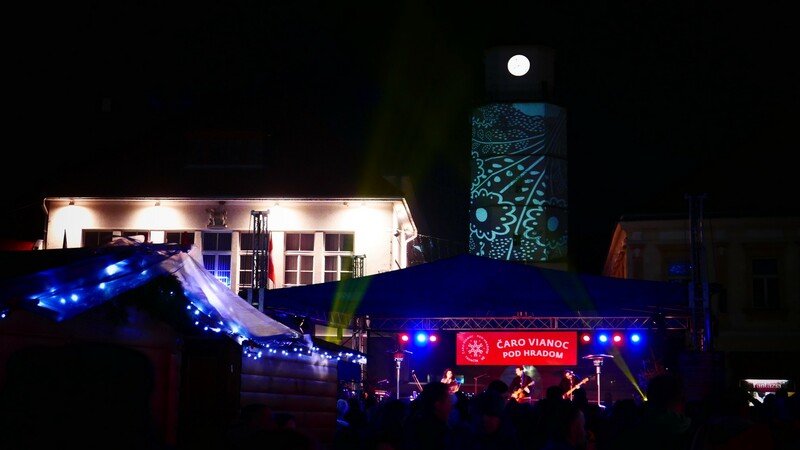 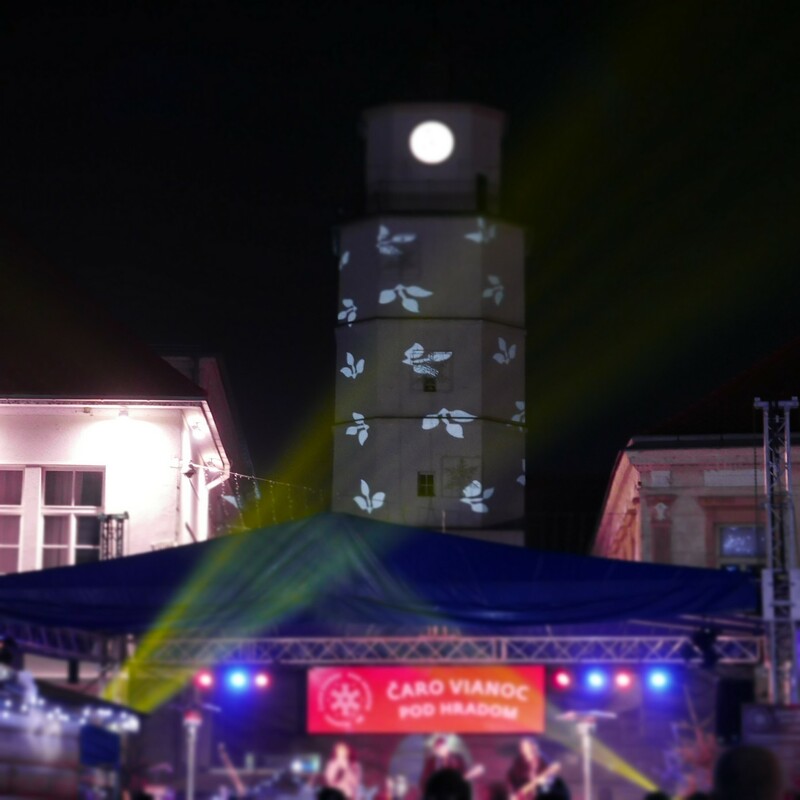 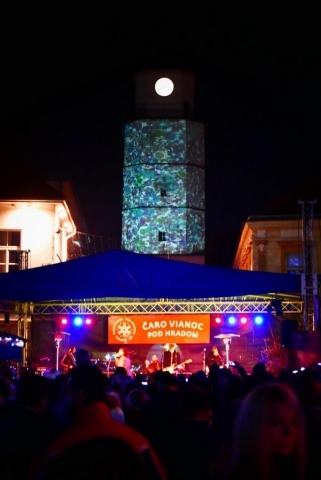 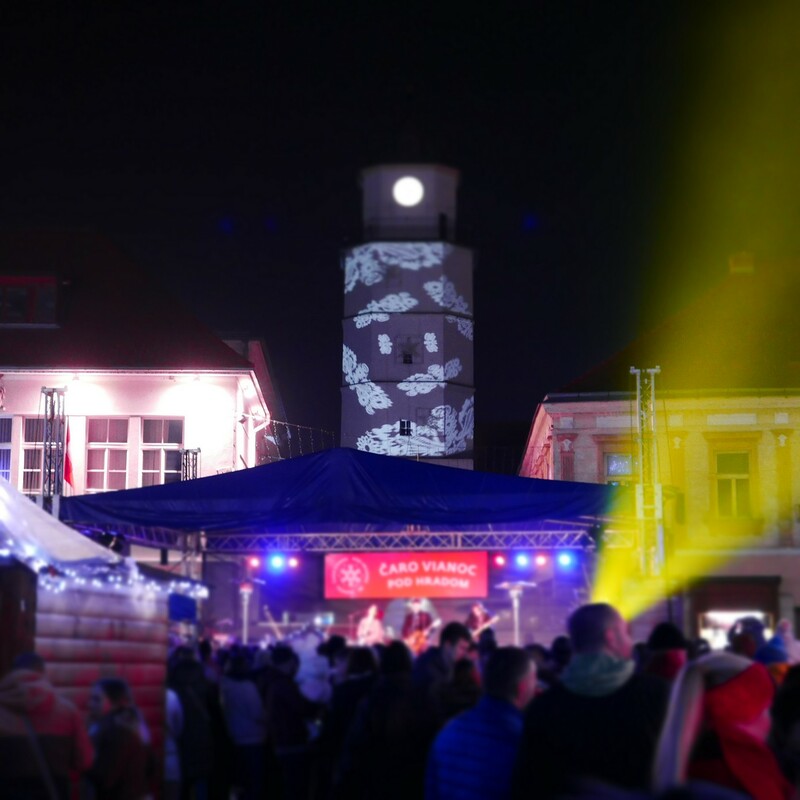 The pre-Christmas festival of Christmas under the castle brought Christmas concerts during the third weekend of the weekend, the children’s theater, the christmas candy and the light projection from the TRAKT atelier at the Municipal tower. 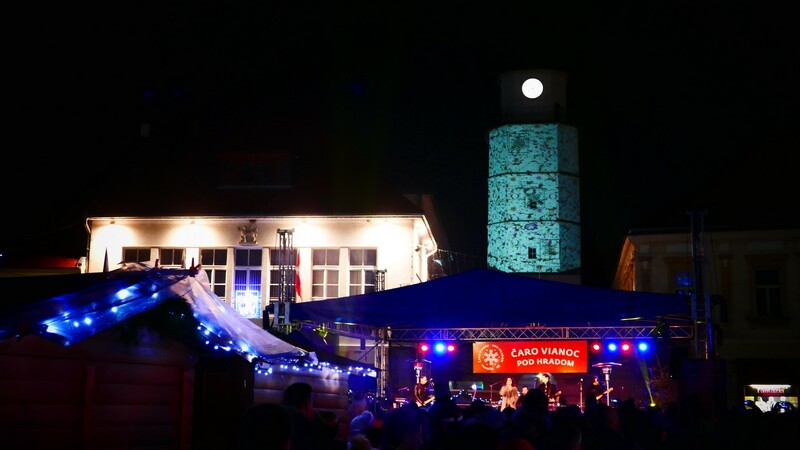 The rustic mishmash was an unusual combination of Ruthenian folklore and classical music, or Balkan rhythms, offered by Rusen Cendes Orchestra on Saturday night. 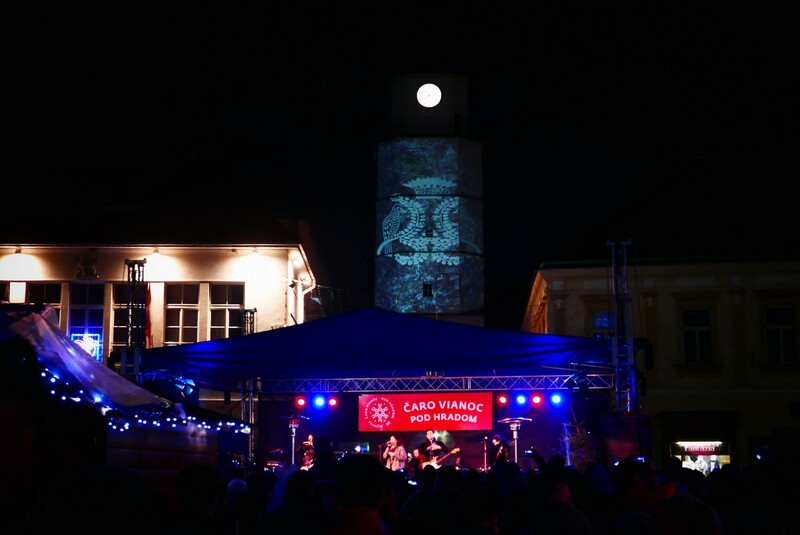 The Saturday program closed Celeste Buckingham’s youngest pop-music star with his court band King Shaolin. 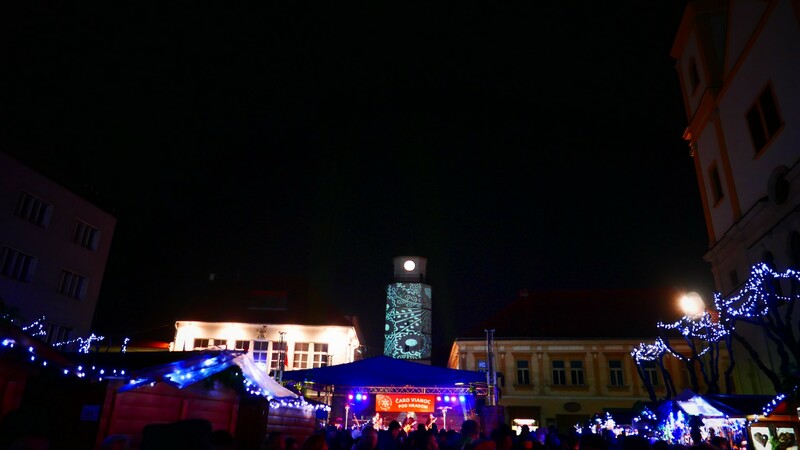 Lovers of good food enjoyed the Christmas turtle bunch by the Trenčín folklorists. The Sunday program opened the original saddle Gothic in the Vrbovské vŕby. Carols and trains to Trencin from under Inovec brought Selčan and Selčianka. The Christmas Song Story of Glamor Princesses Tones and Fonts was given by Harry Teater. 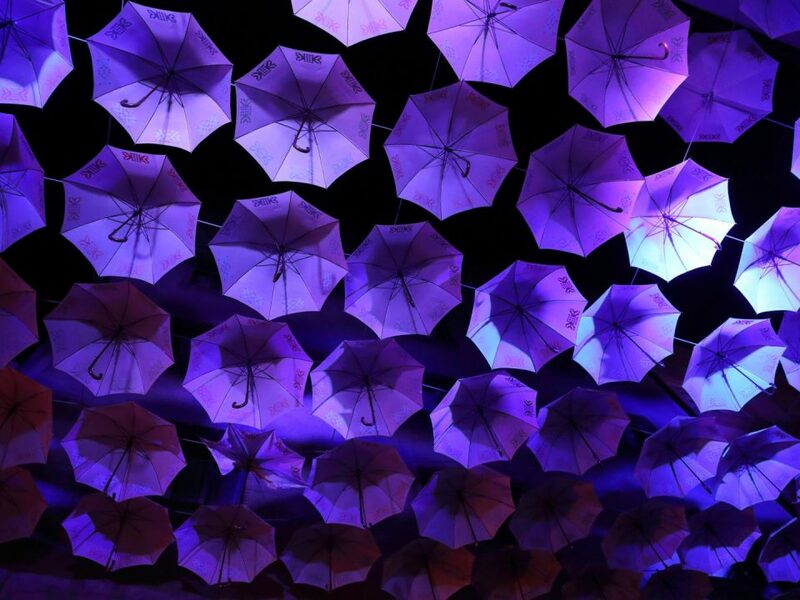 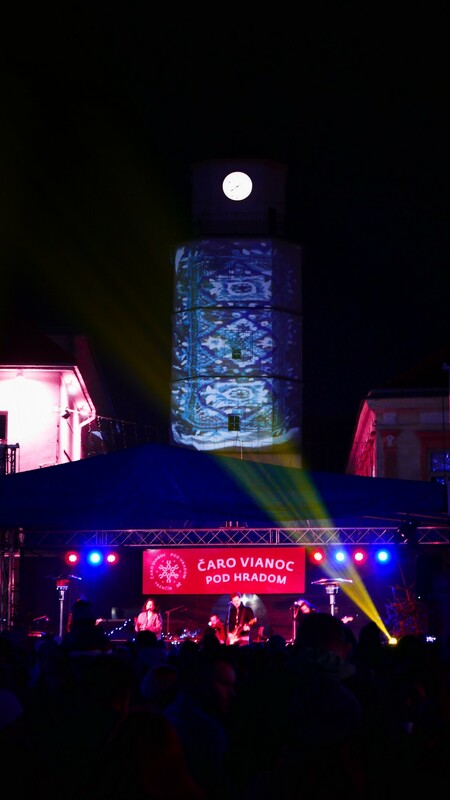 In the afternoon, the showers presented Horná Nitra – Háječek and the vocal group of glass with their acapella concerts. The main star of this year’s program were exceptional musicians with temperament in the blood of Gypsy diabols. 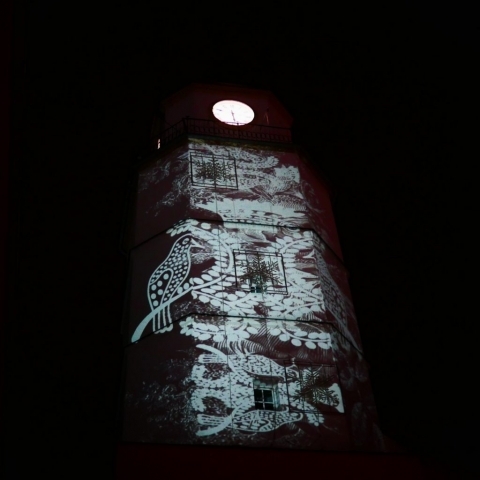 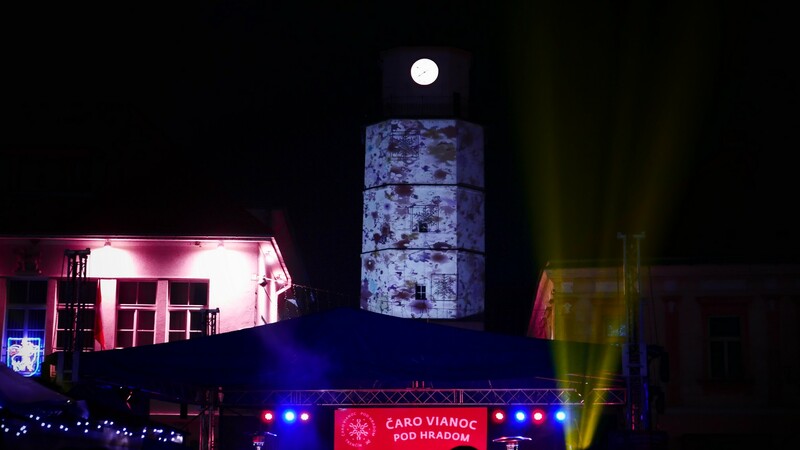 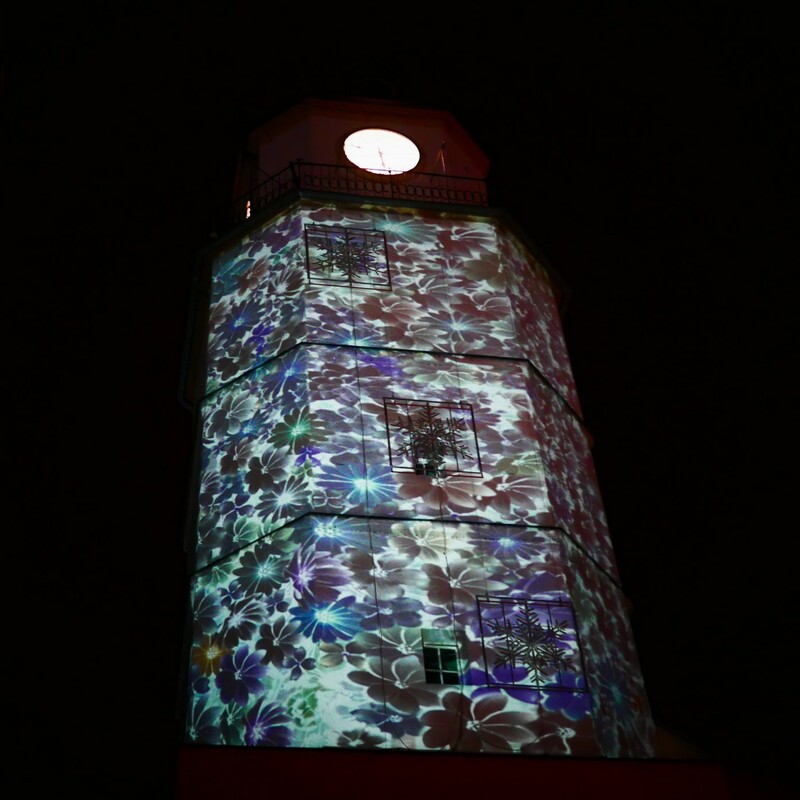 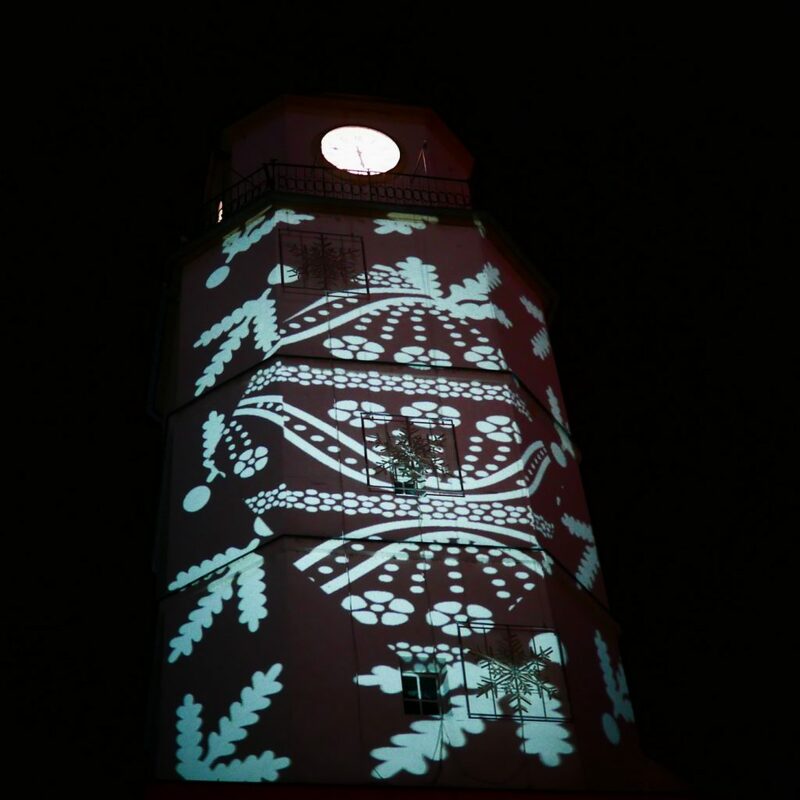 Their concert in the background completes our projection called “Embroidered Tower”.